“No one ever got fired for buying IBM” is a phrase we’ve all heard. Today, that might change to a variety of other leading vendors. It’s often the legitimate reason that newer vendors bring up when talking about their growth challenges. 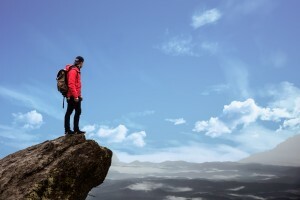 Effectively many organizations have a risk bias when it comes to projects—-they prefer the safer route, even if the rewards may not be as great. This may be an even bigger issue with the continued growth in consensus buying. While not completely surprising, the application of what I’m calling the risk bias to emerging technologies is somewhat concerning. Every technology vendor innovates, but breakthrough innovations usually come from new vendors. Larger vendors often employ fast follower strategies. Enterprises that wait for the capabilities from proven vendors may find themselves acquiring new technologies just to keep up with competitors. There is some interesting correlations between multiple areas of Gartner research here. First, our research into enterprise personalities shows how enterprise attitudes impact their technology preferences. As we continue to explore these lines, we find that organizations that are more open to dynamic technologies are, no surprise, much farther along on their progress toward digital transformation than others. Those same type of organizations also report that they are much more likely to be outperforming their competition. And, in the research sited above, we see that those same type of organizations, while still having an established vendor preference, are more likely to be open to working with newer vendors. They will take risks if they can gain advantage. And finally, as you qualify opportunities, assess the personality of the organization to determine their openness to working with newer vendors. Or will you be put through an arduous vendor management/assessment process just to get things going. Risk of project failure is a very real concern and a big challenge for vendors to overcome, don’t ignore it in your go-to-market efforts.